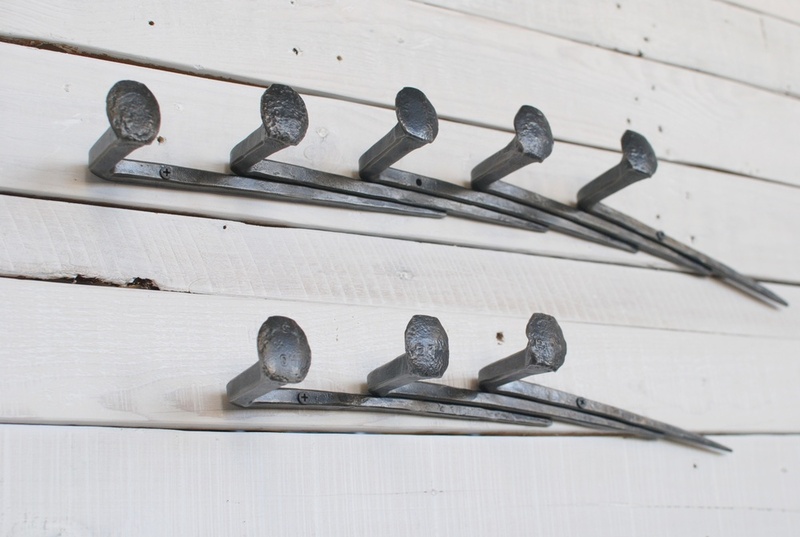 Our Railroad Spike Coat Rack is one of our favorite designs. It's a little bit different from other forged railroad spikes out there. From the loaded-down version at our house, we can tell you this is a workhorse of a coat rack. And we love the story behind the material used to create them. Two things we love about Richmond are the plentiful trains and the James River. Unfortunately, a lot of debris from the railroads ends up in the river. We help clean up the river by collecting some of that debris. Then we turn it into something beautiful! Bucket of railroad spikes fresh from river. The first step in creating our coat racks is to draw out each spike. 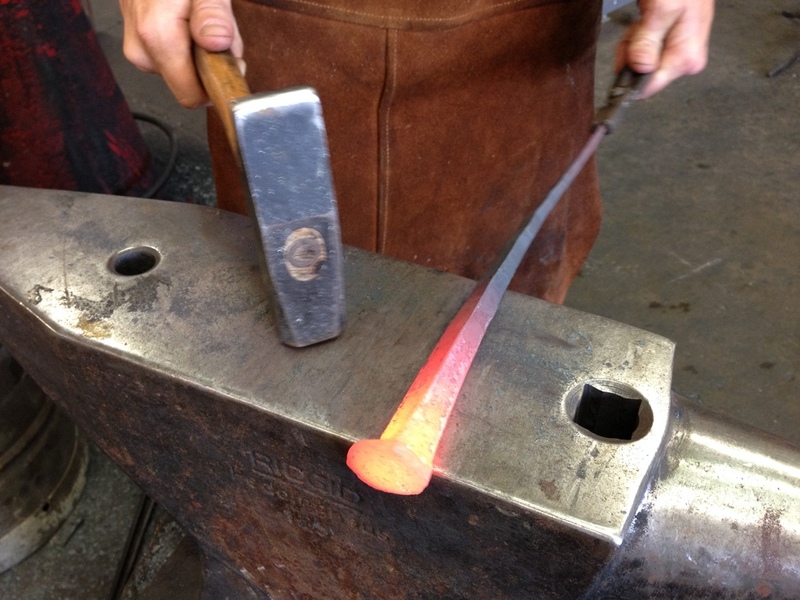 Kyle heats them in the forge, then uses the hammer & anvil to make the spike longer and thinner. This shape creates the elegant line of the finished piece. There ya have it! 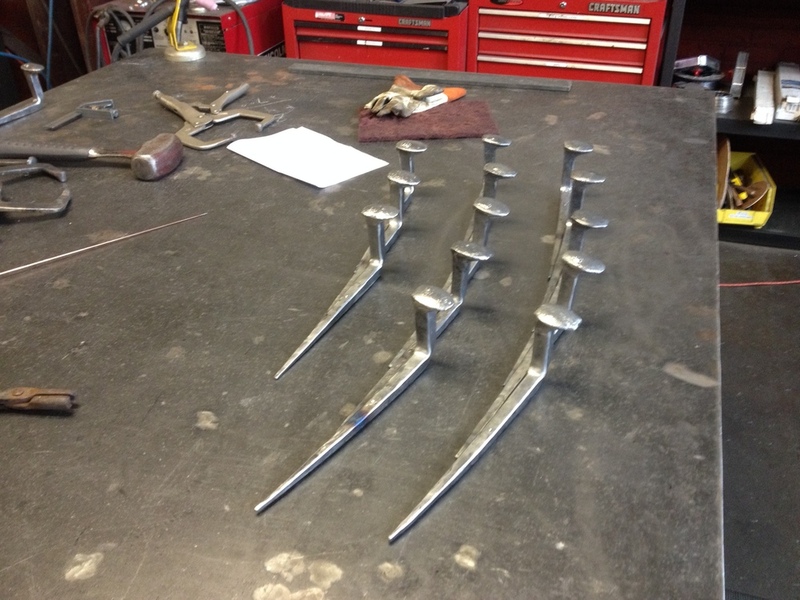 The bent hooks are then welded together to create the coat racks. A few coat racks in production. Here's the Railroad Spike Coat Rack in the two standard sizes we offer. One of the great things about the design is that it's easily customized. We've made it with more or less spikes and in symmetrical pairs. We've even considered turning it on its side!